The winner of the 2016 Cundill Prize in Historical Literature at McGill was announced on Nov. 17, at a gala awards dinner held in Toronto. 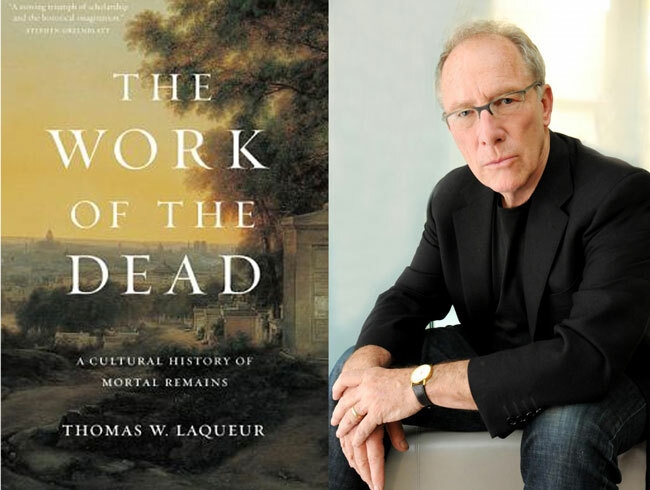 The Work of the Dead: A Cultural History of Mortal Remains by Thomas W. Laqueur took home the top prize of $75,000 (US). 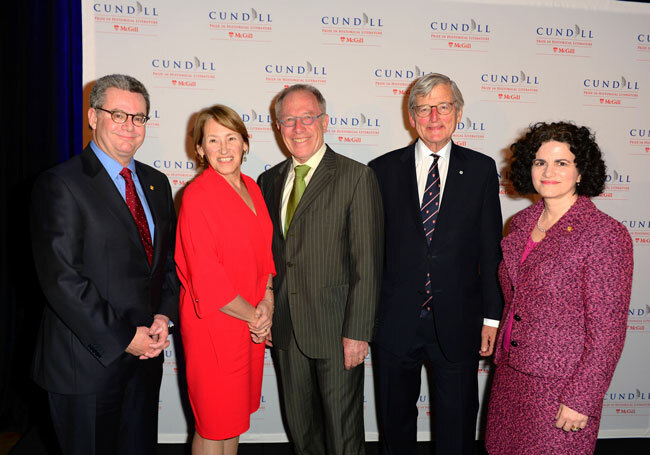 The winner of the 2016 Cundill Prize in Historical Literature at McGill was announced on Thursday, November 17, at a gala awards dinner held in Toronto. Now in its ninth year, the Cundill Prize is one of the world’s most lucrative international awards for a nonfiction book. The Work of the Dead: A Cultural History of Mortal Remains (Princeton University Press), by Thomas W. Laqueur, took home the top prize of $75,000 (US). The Work of the Dead offers a compelling and richly detailed account of how and why the living have cared for the dead, from antiquity to the twentieth century. The book draws on a vast range of sources – from mortuary archaeology, medical tracts, letters, songs, poems, and novels to painting and landscapes. The other finalists included David Wootton for The Invention of Science: A New History of the Scientific Revolution (HarperCollins) and Andrea Wulf for The Invention of Nature: Alexander von Humboldt’s New World (Alfred A. Knopf, John Murray Publishers). Both Wulf and Wootton were awarded a “Recognition of Excellence” prize of $10,000 (US). The finalists were selected from 182 submissions received from publishers worldwide. “The contribution Thomas Laqueur’s book makes to our understanding of the role the dead play in life is hugely important. It is a book that will fascinate readers both within and outside the academy,” said Professor Antonia Maioni, Dean of the Faculty of Arts. This year’s Cundill jury included Timothy Brook, Republic of China Chair, University of British Columbia; John Darwin, Professor of Global and Imperial History and Director, Oxford Centre for Global History, University of Oxford; and Anna Porter, Co-founder, Key Porter Books and author (Buying a Better World: George Soros and Billionaire Philanthropy, The Ghosts of Europe). About the Prize: The Cundill Prize is the world’s most important international prize for non-fiction historical literature. It was established in 2008 by McGill alumnus F. Peter Cundill, who passed away in January 2011. The prize is administered by McGill’s Dean of Arts, with assistance from the McGill Institute for the Study of Canada (MISC), and is awarded annually to an individual who has published a book that has made a profound literary, social, and academic impact in the area of history. Why was this ceremony held in Toronto rather than in Montréal? Ceremony was held in Toronto because the winner, Thomas Lacqueur, is not French or French-speaking so he could not be awarded in Montreal. Odd explanation, since when a presentation in English cannot be made in Montreal? What a ridiculous assumption. The ceremony has been held in Montreal before, regardless of the mother tongue of any of the authors. It’s a major literary event. Toronto happens to be the hub of English publishing in Canada. Doesn’t it make sense to hold it there? Stop looking for controversy in places it doesn’t exist. “Doesn’t it make sense to hold it there” No, it does not make sense.